Item # 309862 Stash Points: 5,495 (?) This is the number of points you get in The Zumiez Stash for purchasing this item. Stash points are redeemable for exclusive rewards only available to Zumiez Stash members. To redeem your points check out the rewards catalog on thestash.zumiez.com. 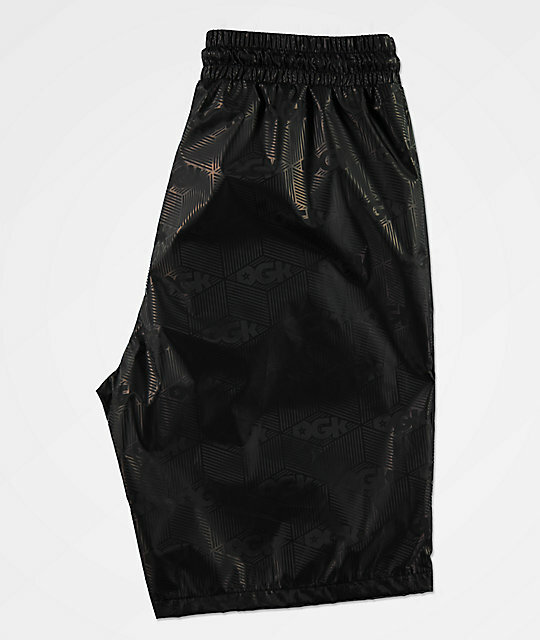 Add a touch of luxury to your sportswear collection with the Lux Swish Black Elastic Waist Shorts from DGK. These shorts feature DGK logos throughout in a monochromatic black colorway and an adjustable elastic waistband for a comfortable fit. 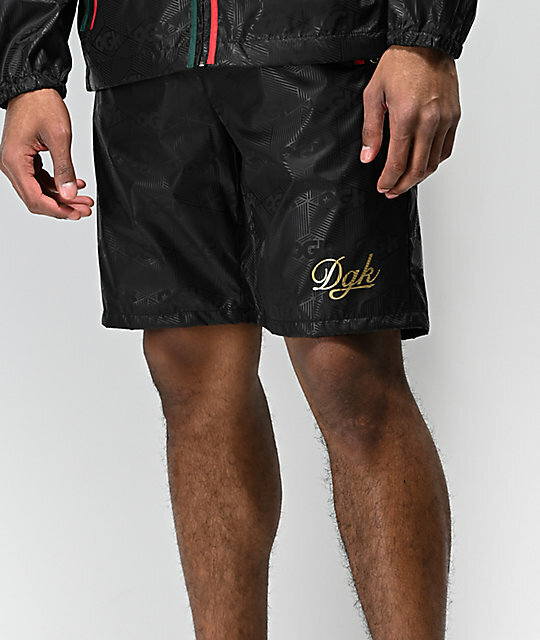 A gold DGK logo is printed at the left leg opening, and the design is completed with two zippered handpockets with exposed gold zipper pulls, creating a look that is fit for a king. 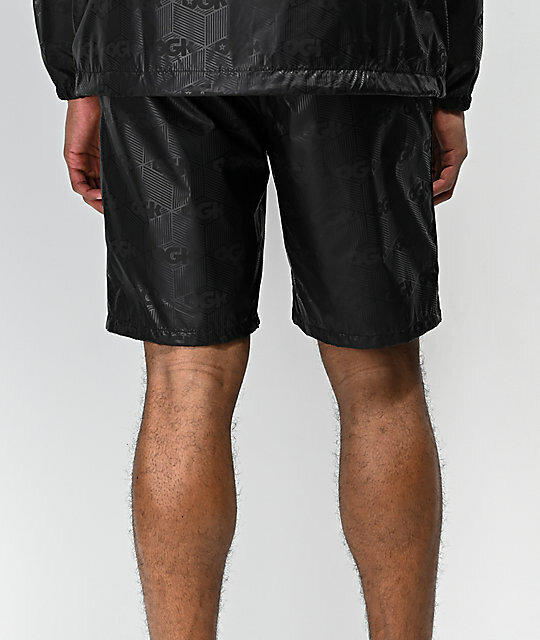 Lux Swish Black Elastic Waist Shorts from DGK. Black with monochromatic DGK logos throughout. Elastic waistband with adjustable drawstring & gold metal aglets. Gold screen-printed logo at the left leg opening.